English is the language of business communication the world over. PublicSoft Telephone English will help you improve your communication over the phone by helping you speak better English on the telephone. You will learn key phrases and replies that are used in everyday situations in the business world. You will learn how to finalize deals, place orders, receive and place complaints, take down and leave messages, and perform other vital phone related tasks. 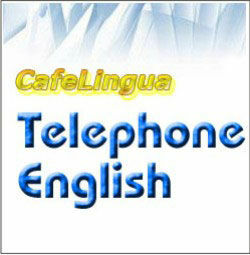 Telephone English utilises international neutral English pronounciation that is valid and popular all over the world. Working regularly with Telephone English will help you improve your accent and be understood better over the telephone. This software is suitable for business executives, call center employees, sales people, customer support executives, students and everyone else who wants to speak better English on the telephone. 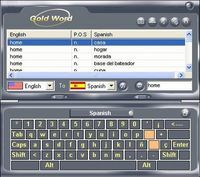 The software arrives in a single CD with 8 exhaustive units, each focusing on a specific aspect of speaking English on the telephone. This demo version gives you first of the eight chapters. Download-by.net does not support the use of pirated software. Instead of using a "free" crack or serials to programs that you have not bought, you should buy the software. You support future software development by not using cracks or a serial key that is not your own.